Our Plumbing department is designed to help anyone from a novice Do-It-Yourselfer to a Seasoned professional. We cater to what you need, when you need it. We stock a full selection of products that range from Water Heaters to Faucets and Toilets plus all the fittings needed to get those projects done. Do you need that special part and aren’t sure how to install it? That’s where we excel! We will have knowledgeable staff available to work through your plumbing dilemmas. We want you to be confident to tackle that project when you leave our store. Have you run into an odd situation and think it impossible to fix? We will help with getting you the right part. Bring in your old part, if you can, or take a picture with your cell phone. It will make getting you what you need easier and quicker. All four of our stores sell PVC pipe either in 10 foot sticks, or cut to your desired length. We have PVC in the strengths, styles, and sizes to suit every project. All of our stores also have 1/2" and 3/4" CPVC pipe for hot and cold water service lines. They come in 10 foot sticks, but can be sold by the foot. In our Richland Center and Muscoda stores, we also sell perforated PVC, culvert, and drain tile. Whether you're working with plastic, copper, steel, or a combination of them, we have the fittings you need to hold your plumbing project together. 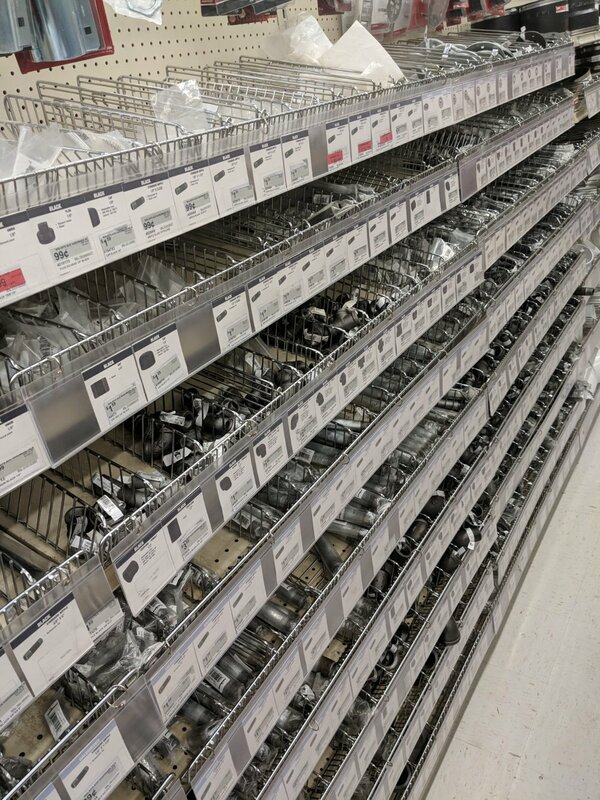 We have a huge variety of plumbing fittings and the expertise to help you get what you need for even the most difficult project. Each of our stores has a small selection of toilets in stock, and if we don't have the toilet you're looking for, we can order one in for you that fits your preference. We sell toilet seats, plungers, and toilet brushes We also sell a wide variety of toilet repair pieces, such as wax rings, flappers, fill valves, flanges, and repair kits, along with many different drain opening chemicals. 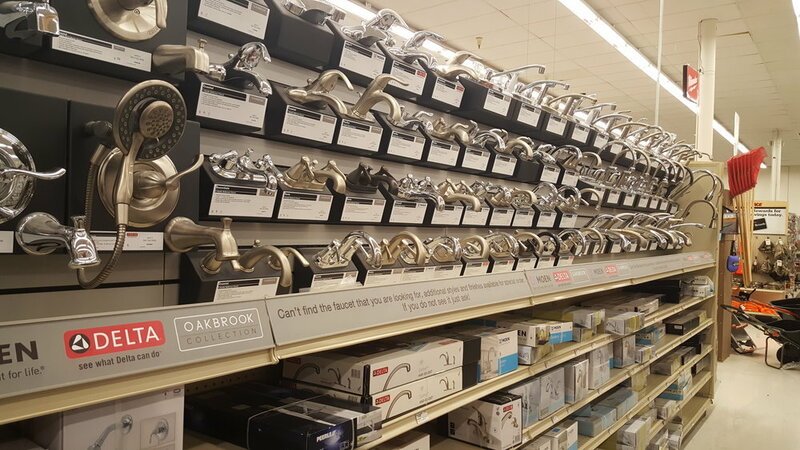 Each of our stores sells a variety of faucets, from simple utility room faucets to fancy kitchen faucets. We sell sell faucets by Moen, Delta, OakBrook and more. We also sell shower heads, shower handles, towel bars, and shower curtain bars. 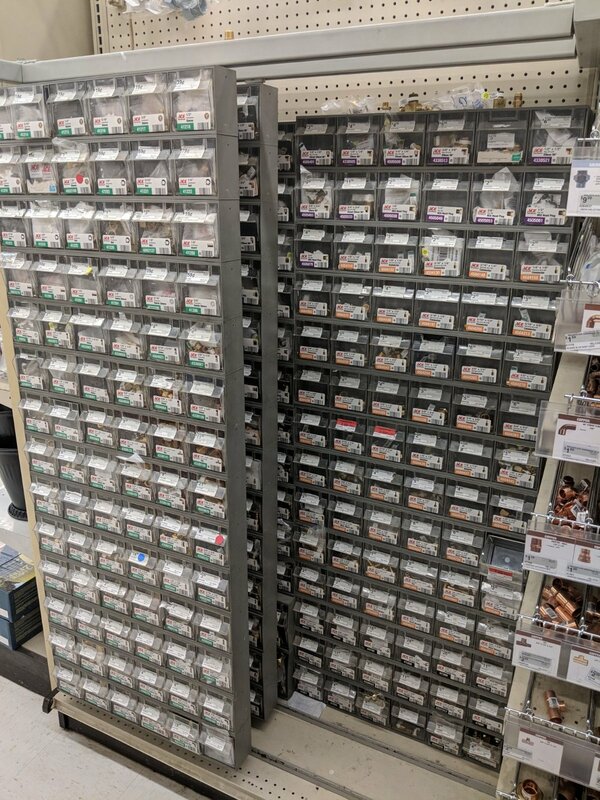 If you need to repair a faucet you already have, we sell aerators, faucet stems, washers, stoppers, and other repair parts. To repair you faucet quickly and easily, bring in the broken part and we will help you find a match so you can get your water running again in no time. All four of our stores sell water heaters and water heater replacement and repair parts. If we don't have the water heater you need in stock, we would be happy to order it for you. We sell submersible sump pumps at all of our locations. We sell two brands: Ace and Wayne. The pumps we sell range from 3/10 HP to 3/4 HP, and we also sell hoses and connectors. We sell many different kinds of bulk hose, so that you can get the size and length to fit your project. We have everything from simple clear tube hoses to hoses that withstand high temperatures and pressures. We also sell hose clamps and adapters in a wide range of sizes.